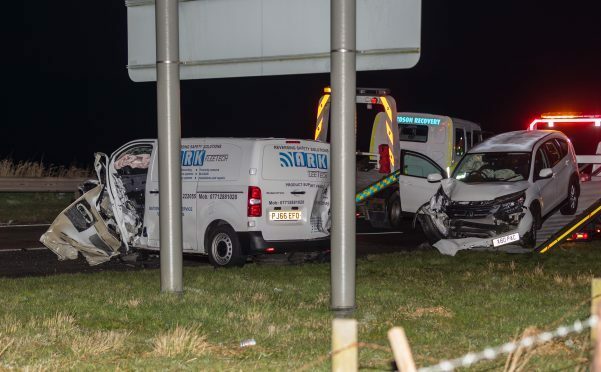 A woman was cut free and taken to hospital with two other casualties after two cars and a van were involved in a smash on the A90 Toll of Birness this evening. The incident happened shortly before 9.30pm and the road is currently closed. The woman had to be cut free from a car, and all three casualties were taken to Aberdeen Royal Infirmary for precautionary check ups. It comes after a smash on the same road on Wednesday, which left a teenage girl fighting for her life in hospital and five others with serious injuries.